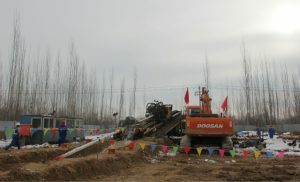 On February 22, 2017, Hanas’ natural gas pipeline tie-line project from Hangjinqi to Yinchuan through the Yellow River was smoothly started drilling in the entry point of Crescent Lake Township project, Xingqing District, Yinchuan City, which marks the construction of the second natural gas pipeline in Ningxia is running at full capacity. 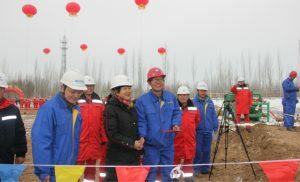 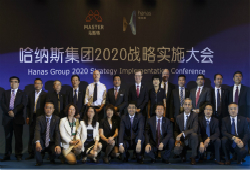 Hanas Group vice president Mr. Wang Yong, Ms. Ren Fenglan, General Manager of Hanas Natural Gas Pipeline Co., Ltd., Mr. Luo Zhanjun, Deputy General Manager of Hanas Gas Group Mr. Dan Tianjun and the leaders of construction unit and the supervision unit attended the opening ceremony to witness the important moment together. 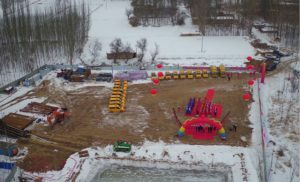 Natural gas pipeline tie-line project from Hangjinqi to Yinchuan is one of the major projects of national 13th five year plan, Ningxia 13th five year plan and the year of 2017. 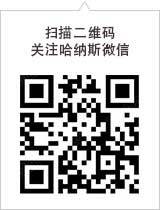 Meanwihile, it’s also a gift for Ningxia 60th anniversary. 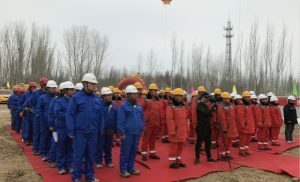 The pipeline will be the second natural gas security source in Ningxia when finished, thus natural gas limitation in winter will become history and the support capacity of natural gas will be significantly improved for the benefit of Ningxia people. 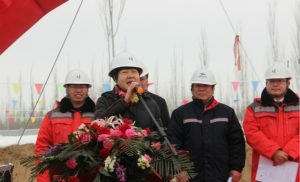 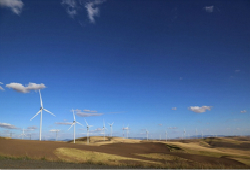 At the same time, it also plays an important role in improving the quality of the environment, the living standards of residents and economic development along the regional. The controlled crucial works for this project is to go through the Yellow River. 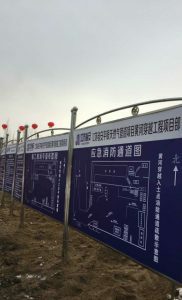 The maximum depth of the pipeline through is about 30 meters, the horizontal distance is about 2.7 km, pipe diameter 711 mm, wall thickness 14.3 mm, design pressure 6.3 MPa, the construction materials adopted by the whole line are special customized, and the expected duration is 90 days.